Hello and welcome to day 1 of the Core'dinations and Tombow joint blog hop! All this week both companies will have lots of inspiration for you and some great prizes up for grabs too! You should have arrived here from Debbie's blog. Here are my creations for today! I used some Core Impressions My Mind's Eye Lost and Found and Core Impressions Basic Grey Ornate Collection from Core'dinations sanded with the Sand-It Gadget. I used the Stamp Runner from Tombow to adhere my cardstock. The sentiment stamp is from Circle It from The Craft's Meow, I did a little fussy cutting and I used some 3D Foam Tabs from Tombow to add some dimension. 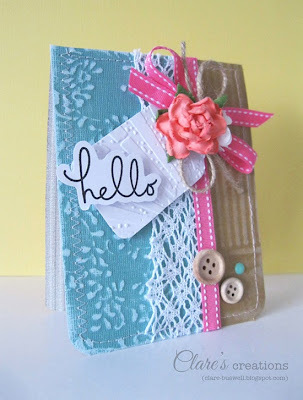 The Core Tag I embossed with Mini Rays embossing folder from Sizzix. For my second card I used some more cardstock from My Mind's Eye Lost and Found and I also used some Core Spotted Jillian Dot and Core Essentials Neutrals from Core'dinations. I used another Core Tag that I embossed with Seeing Spots embossing folder and I used the same stamps as in the previous card. Below is the prize package that is up for grabs from Core'dinations. 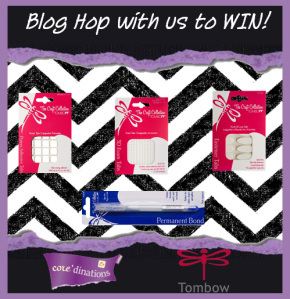 Here are the prizes on offer from Tombow - New Power Tabs, New Foam Tabs, New Fastener Tabs and the Mono Glue Pen! (Prizes are subject to availability). A random winner will be picked from commenting on each blog all week long (Monday -Thursday). 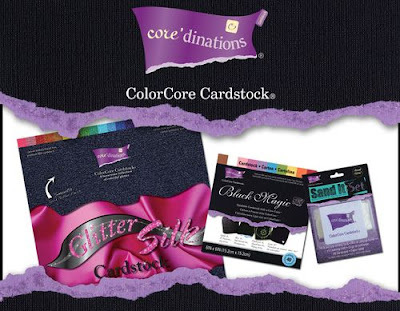 Don't forget to 'like' the Core'dinations Facebook page and the Tombow Facebook page too! Next up on the hop is Gail. Enjoy the rest of the hop and good luck! 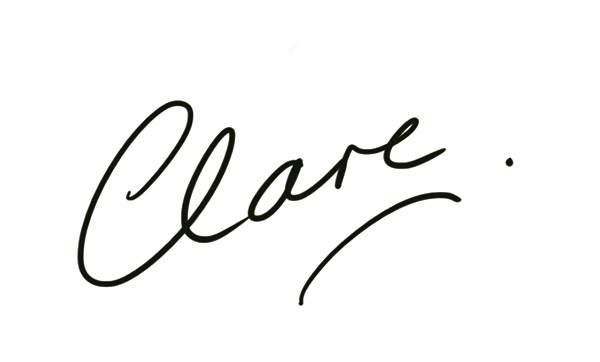 Clare, these cards are gorgeous! Both cards are lovely. I love all the detail you put into each one, especially the stitching and sanding. 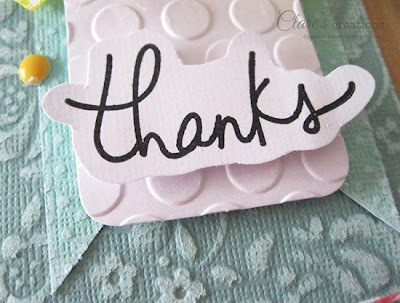 Thank you for the idea of embossing the tag and adhering the sentiment to it. Very pretty card. Love the textures and embellishments. Very pretty cards! Great use of ribbon. I just love the colors that you used. These look so fun and inspire me to try layering like this. Thank you! Your cards are gorgeous! Love them both! Love both of your cards and the color combo is fab! Lucky to be the first to reply on such lovely cards. thanks for sharing. I love your cards. They're beautiful. Thanks for sharing, Johanne L.
I can't wait for the rest of the hop. Your card is beautiful & I can't wait to see more. Very pretty cards, the embossing is lovely. Thanks for sharing! Pretty lil' card! Love the textures! 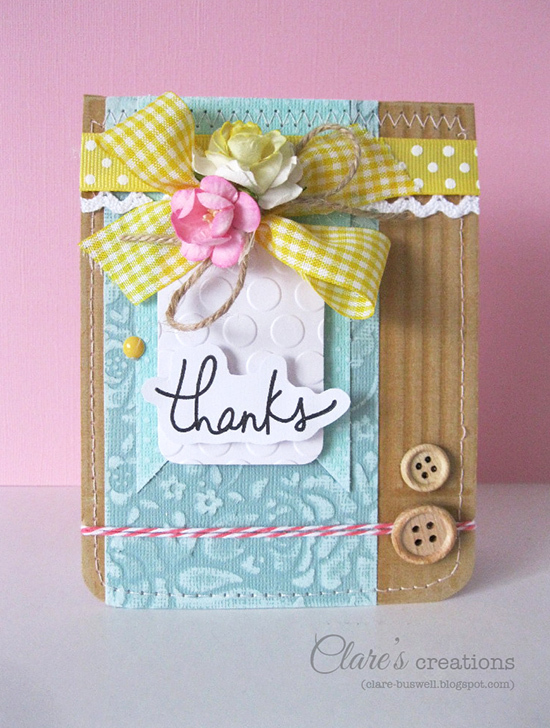 Pretty pair of cards Clare - love your embossed & sanded Core and your cute fussy-cut sentiments!!! 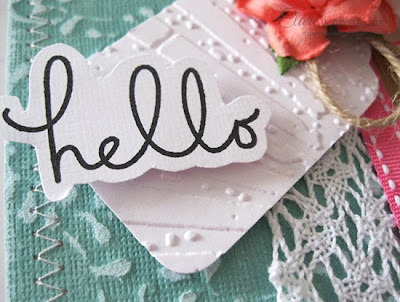 love your simple formula with these cards, all the embossing really adds to the great texture story. I always love looking at your cards and these two are no exception! Great design, wonderful colors and texture! Beautiful cards, I love all of the detail! Thanks for sharing. Love all of the dimension and textures! Beautiful. Haven't seen the Core tags - will have to check those out - beautiful cards! Love the colors you chose, & the cards are fabulous! Thanks for sharing! Very pretty--I like all the texture.